I’m entering the Great South Run again this year. A nice 10 miles round Portsmouth. Honestly out of all the races I’ve run the Great South has had the very best support from the crowds and the best atmosphere too. It probably helps that Portsmouth is such a small city. Everyone can join in the fun without having to travel far. Lots of people do. It’s the 25th October this year, two months from now. I know I can do the distance without any more training but I want to try to do it quickly. As such I’m starting my marathon training now which includes a lot more speed work than I’m strictly used to. For a warm up I’m running the Pieces of Eight on the 4th October. All in preparation for the Portsmouth Coastal Waterside Marathon on 20th December. That means for a 17 week marathon training schedule I’m officially in week 1. No more slacking off. 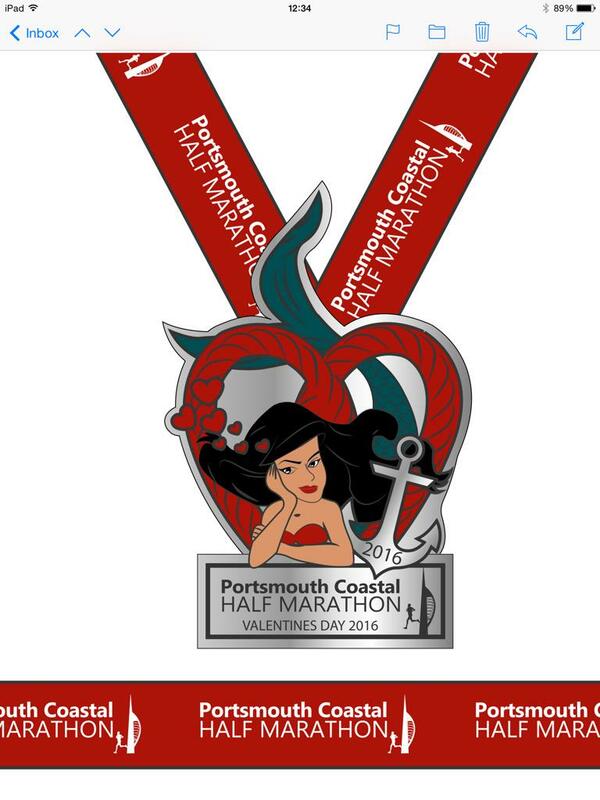 I must say though that the Portsmouth Half Marathon on Valentine’s Day next year has the best bling. Try as I might to get my other half to join me I think I’ll be running it alone. Please! If I told you about me then you'd only be jealous. That would not do. It is better that you simply don't ask.